What is chiropractic about? Explanations and theories abound. There are those who claim our only concrete offering sits firmly in the domain of back and neck pain, yet other research indicates impacts on brain function, cerebellar function, muscle drive, and much more. Over the course of this series, we will be taking a walk through a topic that is often thought to be simple yet, on a neurological and physiological level, is quite complex. Though checking and adjusting subluxations is what we as chiropractors do, there is one thing that has profound if not primary impacts on those very subluxations. It is the issue of stress – easily overlooked, but seldom innocuous. 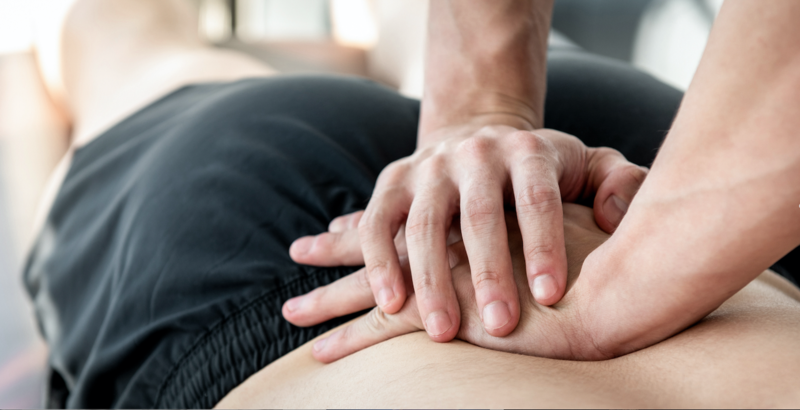 During the course of this series, we will be looking at stress and posture, and interviewing Dr’s Michael Hall and Wayne Todd, both renowned chiropractors who have offered significant insights to our profession when it comes to this issue. But before we get to that, we need to start with a refresher on the basics: how does stress interact with subluxation, and what can we not afford to forget. How many times have we heard that the causes of subluxation are “trauma, toxins and stress,” or in other terminology, “physical, chemical or emotional stress”? Truthfully, it is difficult to separate chiropractic from stress if these are the very things that cause subluxation. However, it is one thing to understand how this impacts the movement of the spine, and another thing to take in the broader picture and see how this impacts the whole system. We know that the amygdala is the part of the brain that detects a stressor. It does not, however, distinguish what type of stressor it is: be it real, imagined, mental, emotional, physical, internal or external. It’s all just stress. The body then does what it is innately and instinctively programmed to do for the survival of the organism. Therefore we react the same way to a roaring lion as we do to nerves over public speaking (for example). In his book “The 14 Foundational Premises for the Scientific and Philosophical Validation of the Chiropractic Wellness Paradigm,” Dr James Chestnut went to great detail in plotting the human stress response and how it impacts physiology and of course, subluxation. It is information learned by many a chiropractic student, but perhaps easily forgotten in the day-to-day grind of clinical practice. Decreased anabolic hormones like growth hormone and testosterone and luteinizing hormone etc. Bone loss, muscle fibre type changes. The implication is clear: There is no system of the body that is not somehow impacted by stress physiology – regardless of the kind of stress that kicked it off. What is also clear is that the body is simply not supposed to deal with stress in a chronic fashion. We are made for recuperation time, where the parasympathetic nervous system takes over to restore homeostasis, after stressors. Yet in the modern lifestyle chronic stress is all too common. But how does this impact subluxation? What is nociception? It is widely thought to be the body’s response to noxious stimuli. It is our ability to feel pain, although response to such stimuli can be occuring on a physiological level long before our brain perceives it as pain. Dubin and Patapoutian define our nociceptors as specialized peripheral sensory neurons that “alert us to potentially damaging stimuli at the skin by detecting extremes in temperature and pressure and injury-related chemicals, and transducing these stimuli into long-ranging electrical signals that are relayed to higher brain centers”. What is proprioception? The awareness of where we are in space. Research has shown that chiropractic care can impact proprioception, from elbow and ankle joint position sense to choice stepping response time . “The stress/subluxation hypothesis holds that vertebral subluxation constitutes a neurological stressor that activates the amygdala’s stress response at a low level, chronically,” she says. “Two technical terms that describe subconscious information flow within the nervous system are proprioception and nociception, types of information that can effectively oppose each other like balancing on a seesaw. Proprioception is subconscious awareness of where all of the parts of the body are in space. You could think of this as “surveillance and control,” and proprioception is literally brain food… but that’s a different story. Nociception is subconscious awareness of irritation resulting from inflammation, abnormal motion, abnormal position, or the like, and it opposes proprioception like static in a radio signal, if you’re old enough to get that reference! Nociception, when it becomes of great enough magnitude, triggers the cerebral cortex to consciously identify the signal the body is experiencing as “pain.” Nociception can lurk, as a constant stressor to the system, like tiny spores of mould in bread before you actually see green, until reaches the level of what we can consciously identify as pain. In other words, the iceberg that is nociception has to grow to a point where it can surface, and be perceived as pain. You may have nociception informing your brain of various problems in the body, but may not be consciously aware of the problem signified by the nociception because it’s not yelling loud enough to create the experience that is pain… yet. The magnitude of response depends on the magnitude of the perceived threat: for instance, your body will have a different magnitude of stress response to a pouncing tiger than to an approaching thunderstorm. This interesting glitch in the lizard-brain amygdala by which multiple kinds of stressors can evoke the same response, albeit of varying magnitude, has an unfortunate by-product: low-level, chronic stressors from emotional, chemical, or physical sources may instigate a low-level, chronic physiological stress response, which has been shown by decades of research to be deleterious to human health. Therefore, the stress/subluxation hypothesis holds that the sum total of the amount of nociception that a person’s body generated from multiple levels of vertebral subluxation complex will constitute a chronic neurological/physiological stressor coming from the inside of the body, and may create a low-level, chronic stress response… from the inside out. Every stressor, therefore, has the potential to create subluxation, and subluxation in and of itself is a stressor. It is obvious from Chestnuts work, and from the plethora of studies on the neurological and physiological effects of stress, that we can’t afford to live life stuck in this loop. The effects of stress on hormones, cognition, and inflammation (among other things) are just too great. Yet modern life, with all of its conveniences, gives us far too many opportunities to stay in a loop of chronic physical, chemical or emotional stress. Thankfully, through the steady advancement of research, we are beginning to see how chiropractic care can impact this cycle. There is much more to be done, but we are on our way. Stay tuned next week as we talk about how we can break the cycle of physical, chemical and emotional stressors, and help move patients out of a loop of recurrent subluxations. If you want to help us advance the cause of subluxation based research, join the Spinal Research tribe or donate to the foundation.